Brushing aside opposition after dithering for nearly four years, the Congress and the United Progressive Alliance coalition on Tuesday unanimously endorsed creation of a separate Telangana state from out of Andhra Pradesh. "It is resolved to request the Central government to make steps in accordance with the Constitution to form a separate state of Telangana ......within a definite timeframe," said a resolution of the Congress Working Committee, the highest policy-making body of the party, after over an hour-long meeting. The Congress also decided to recommend to the government that Hyderabad be made the joint capital of the newly-proposed state and the other regions -- Rayalaseema and Coastal Andhra -- for a period of 10 years. The momentous decisions by the CWC and the UPA came after hectic consultations for the last over a week on creation of the 29th state of the country that will have a geographical area of 10 of the 23 districts of undivided Andhra Pradesh. Tuesday’s decision also brings to fruition the announcement made by the then Home Minister P Chidambaram on December 9, 2009 for creation of Telangana. Contrary to speculation that the new state could be named Rayala Telangana, including a couple of districts of Rayalaseema, the districts that will be part of the new state will be Adilabad, Karimnagar, Khammam, Mahaboobnagar, Medak, Nalgonda, Nizamabad, Rangareddy and Warangal besides Hyderabad. At the moment the idea is to have 10 districts in Telangana but it will be for the Group of Ministers to consider demands for inclusion of more areas, AICC General Secretary Digvijaya Singh, incharge of Andhra Pradesh affairs in Congress, told a press conference after the CWC meeting. Out of 42 Lok Sabha seats and 294 assembly seats in Andhra Pradesh, Telangana is likely to have 17 Lok Sabha seats and 119 assembly seats. At the CWC meeting, Prime Minister Manmohan Singh said the decision to create a separate Telangana would help entire Andhra region. Gandhi, who is also the UPA chairperson, gave a historical perspective on the issue to the CWC meeting in which Digvijaya Singh moved the resolution. It was adopted unanimously. 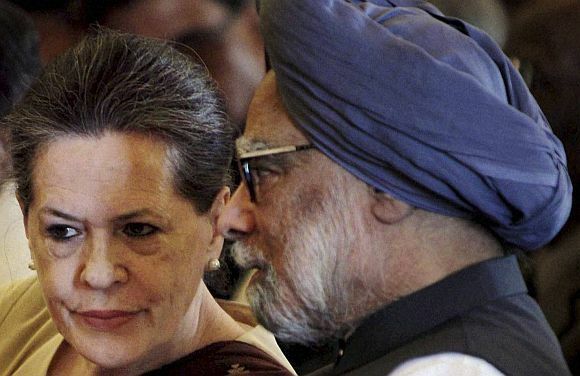 Like last week end, when indications emerged that the Congress was veering towards formation of Telangana, ministers and MPs belonging to the non-Telangana regions made last ditch efforts to convince Congress President Sonia Gandhi and Prime Minister Manmohan Singh have a rethink on the issue. Andhra state, the first entity formed on linguistic basis, was created in 1953 from out of the erstwhile Madras Presidency with Kurnool as the capital. With the passing of the States Reorganisation Act, 1956, there was a merger of Hyderabad state and Andhra state to be called Andhra Pradesh from November 1, 1956. Andhra Pradesh now has a population of over 8.5 crore. 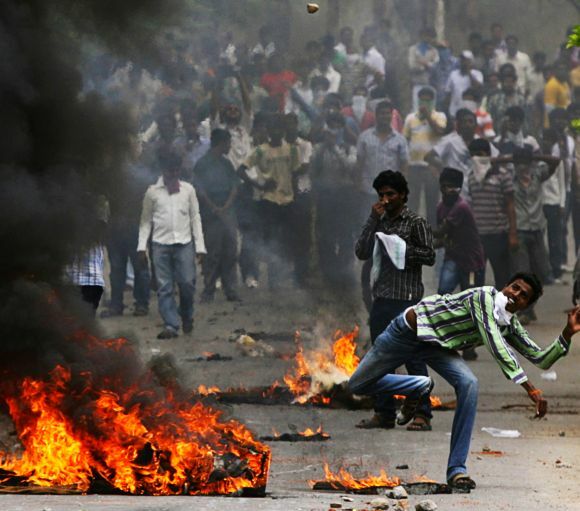 The 2009 announcement, taken at the height of an indefinite fast by Telangana Rashtra Samithi leader K Chandrashekhar Rao, had ignited street protests in the non-Telangana regions and opposition from ministers, MLAs and leaders from within the party that forced the central government and the Congress leadership to put the issue on hold. The Centre held rounds of meetings with all parties from the state and set up a Commission under the chairmanship for Supreme Court Judge Justice Srikrishna, which had given a report suggesting various solutions. Chief Minister Kiran Kumar Reddy, who was opposed to the division of Andhra Pradesh and was said to be thinking in terms of resigning, was called for consultations. He attended the UPA meeting. However, he dismissed reports of resignation as "rumours". Similarly, Congress ministers in the Union government and the MPs gave enough indications that they would follow the party line. Telangana will be the 29th state of India comprising 10 districts with plenty of water and some other natural resources in a backward region lacking development that was at the heart of the separate state demand. As and when the state is formed, the jewel in the crown will always be the city of Hyderabad, which may for some time, at least 10 years to start with, be the joint capital for the rest of Andhra. With a population of over 3.5 crore, the new state comprising mostly the areas of the princel Nizam state will have 17 Lok Sabha seats and 119 assembly seats. When it joins the Indian Union, people of the region would hope that the new identity would help them overcome the challenges of poverty and backwardness which were at the roots of the separate state movement. The Andhra Pradesh government website says: "Telangana agitation was started by the people of the region when they felt that Andhra leaders had flouted the Gentlemen's Agreement which facilitated the formation of Andhra Pradesh. 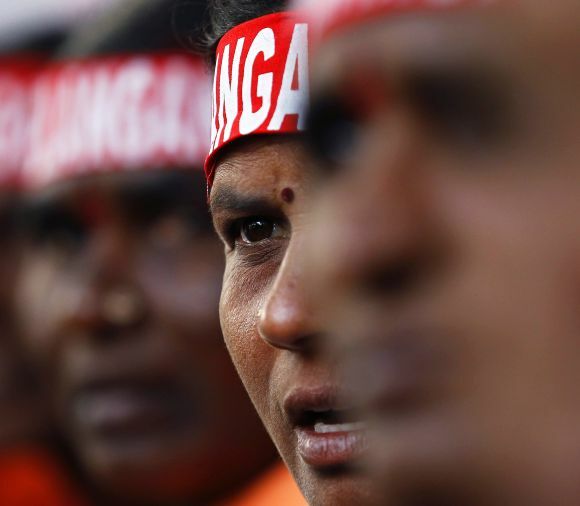 "In the beginning, the movement demanded the implementation of the safeguards agreed upon earlier, but later it wanted the separation of Telangana from Andhra Pradesh." That the seat of government in Hyderabad has persistently ignored the needs of Telangana at the expense of the other regions of the state has been a constant grouse of the advocates of separate statehood. Now, according to the Backward Regions Grant Fund 2009-10, 13 districts in Andhra Pradesh have been identied as being backward, of which nine are in Telangana. Classified as a semi-arid region with a predominantly hot and dry climate, Telangana is not amongst the most fertile regions of the country. But it does have its share of natural resources and notably contains 20 per cent of the country's coal deposits. Among other natural resources are mica and bauxite along with some limestone reserves. 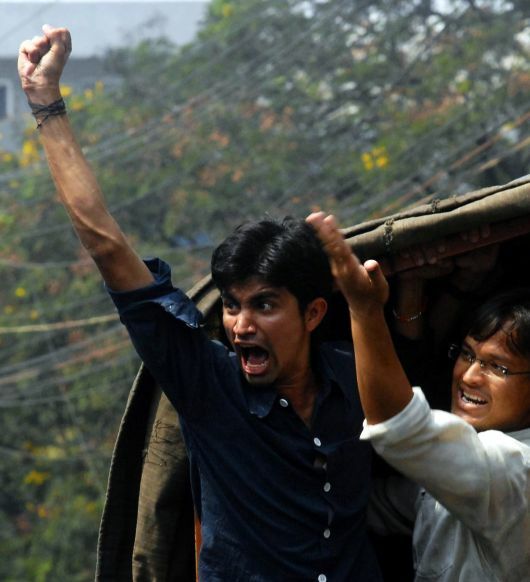 But given the lack of development, Telangana has served as a fertile ground for the Maoist insurgency to take root. A clutch of leaders of the Naxalite movement hail from the region. Slain Maoist Kishanji, who was No.3 in the rebels' hierarchy, hailed from Karimnagar district. As proponents of a separate Telangana claim, the carving out of a new state would give a fresh impetus for the people of the region to aspire for growth and development. Especially with the inclusion of Hyderabad, Telangana would find itself in control of one of the primary centres of India's tech story. Offices of major national and international corporates houses are present in Hyderabad, drawing people from across the country to the city. Needless to say it is the loss of Hyderabad which would rankle most with 'Unified Andhra' supporters. But the people of Telangana argue that the seat of the Nizams was always an integral part of their region. 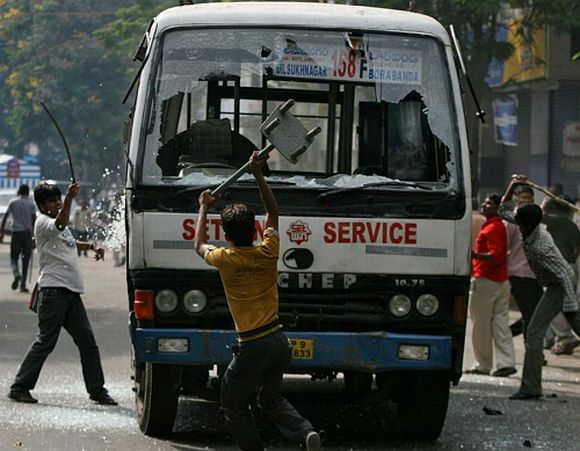 The Telangana agitation, as they point out, was started by the people of the region who complained that "Andhra" leaders had flouted the "Gentlemen's Agreement" which had facilitated the formation of the state, in November 1956. 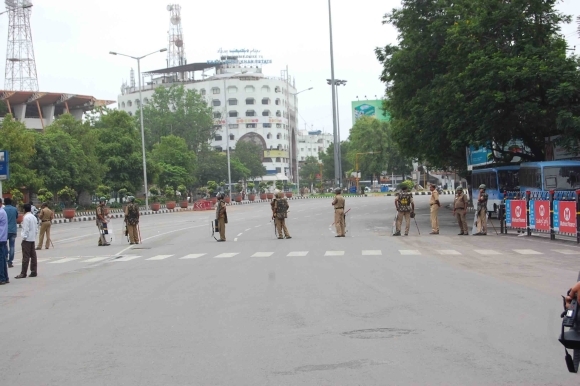 The feeling of betrayal was also implicit in the discontent, which spread among Telangana officials and the unemployed youth of the region, who felt they were being exploited by the people from the rest of the state who had flocked to the new capital. Replying to a volley of questions on sharing of resources between the two states, Digvijaya Singh said the Group of Ministers to be set up on the subject will go into sharing of land, water, revenue and assests and liabilities between Andhra and Telangana. While maintaining that it was a "difficult" decision, Singh rejected suggestions that the decision was aimed at reaping electoral beneifts saying "political expediency cannot be a reason for such a far reaching decision." Explaining the reason for the decision, the Congress general secretary said it had a historical background and states are not formed merely on the basis of agitations. He rejected suggestions that the decision to carve out Telangana was based on political compulsions. "It is a long standing demand...it has nothing to do with elections," he said. He said the Centre will urge the Andhra Pradesh assembly to adopt a resolution on creation of Telangana. The assembly will have to accept or reject the resolution, Singh said adding, however, that either way it will not be binding on the government of India. 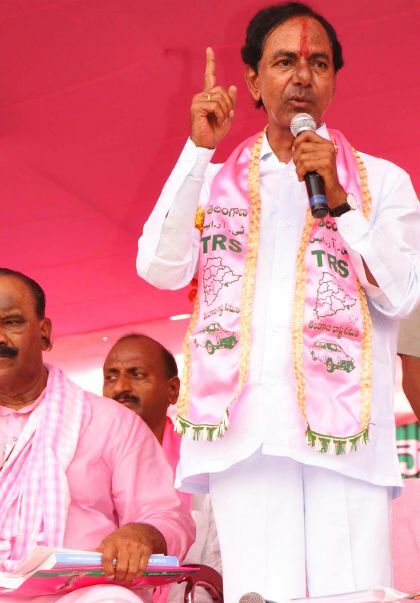 Referring to the Telangana Rashtra Samiti, Singh said its chief K Chandrashekar Rao had maintained that it will merge with Congress once Telangana is created. "We shall await reaction of TRS...we will be favourably inclined to discuss the issue," he said. To questions about opposition within the Congress to Telangana, Digvijaya Singh asserted "Congress party stands solidly behind the decision taken at the AICC." Giving an overview about the procedures for formation of the new state, he said legal mechanisms would be worked out so that both states can function effectively. He said the name of the new state will be Telangana and the new capital for Andhra will be identified from Seema Andhra region. The Centre will assist both the states in maintaining safety and identify specific needs of backward regions, he said. Asked whether two districts of Rayalaseema region will be included in the new state, the Congress General Secretary said as of now the decision is for including 10 districts. As and when demands are put up for any other region, those will be considered by the GoM. He also rejected suggestions that the decision was linked to upcoming Lok Sabha elections. Seeking to paint the BJP as anti-Telangana, Digvijaya Singh said the demand for creation of the separate state had been rejected by former NDA government in 2002 when L K Advani was the Home Minister. He said the former Congress Chief Minister late YSR Reddy, who as Leader of Opposition in the Andhra Pradesh assembly, had then sent a petition to President seeking Telangana.